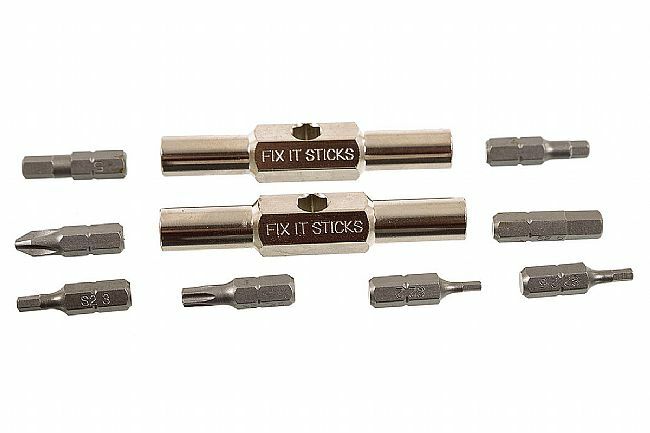 Fix It Sticks Replaceable tool sets offer a shop-like experience while on the road. Their two-piece steel design is robust, portable, and it allows the tool to reach tight places like water-bottle bolts while also being able to provide high torque when the two pieces are combined into a T-handle shape. 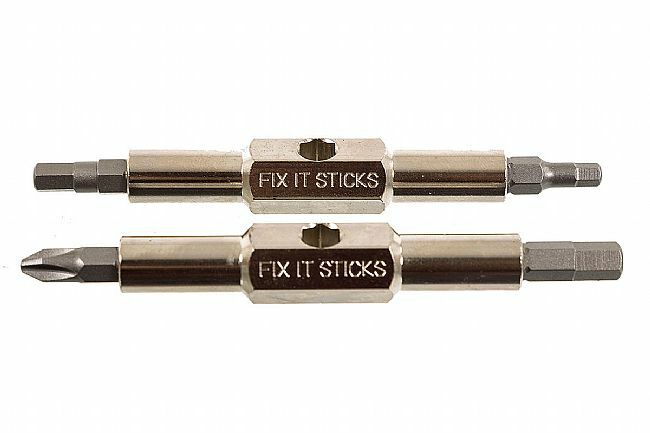 This replaceable bit version includes 2 mm, 2.5 mm, 3 mm, 4 mm, 5 mm, and 6 mm hexes plus Torx 25 and #2 Phillips heads. 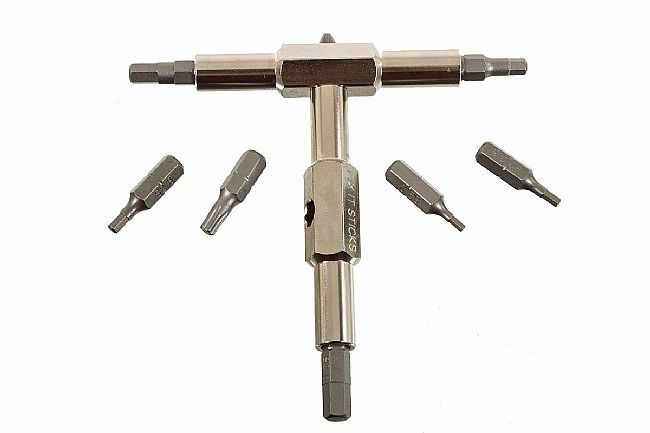 These tough steel bits are secured by strong Neodymium magnets in the nickel-coated 4140 CroMoly bodies that are machined in Wisconsin, USA.